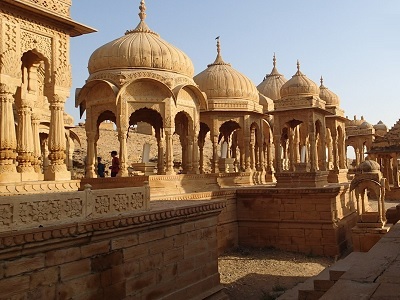 Jaisalmer Tourism details like places to visit, outdoor activities, tours. 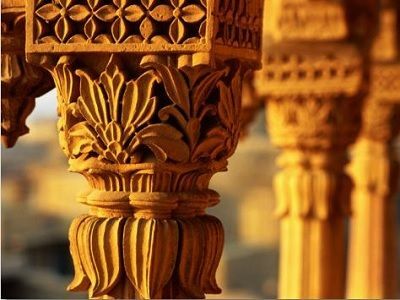 "View All"
Are you interested in staying in an authentic Rajasthani theme hotel, or visit stunning haveli’s (mansions) & enjoy outdoor activities like desert safari? 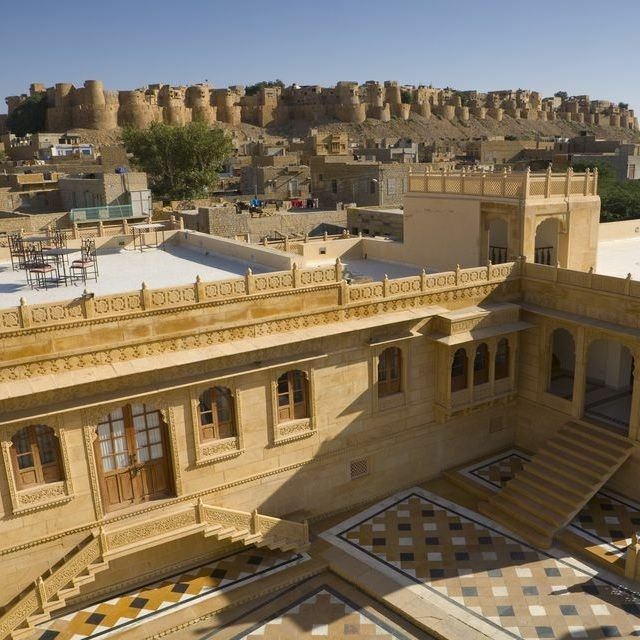 Then you should visit Jaisalmer. 7. Best hotels & desert camps in Jaisalmer city & desert area. View details for all these points below, & feel free to call our manager Mr Singh at +91 9414796344, or fill the contact form at the end of this page. Jaisalmer Fort is a Unesco world heritage site & its local bazaars are full of colourful handicrafts & rooftop restaurants. – Explore beautiful temples, ghats & chhatri’s. The timing of Gadsisar lake is from 9 am to 8 pm & there is no entry fee here. You only need to pay Rs 10 to 50 for the boat ride. Apart from these, you should also visit Badal Mahal, a 5 storey palace turned hotel & museum. The entry fee here is Rs 50, & Bada Bagh is open from 8 am to 6 pm. Plus, it’s advised to carry a water bottle, as this site is 6 km outside Jaisalmer city. Vyas Chhatri is a popular site to capture a beautiful sunset & from August to March, you’ll find many local musicians playing Algoza (wooden flute) over here. – Night stay at desert camps. The best to visit Sam sand dunes is from August to March & you can view our list of Top 10 desert camps in Jaisalmer for more details. – And a cafeteria + souvenir shop. 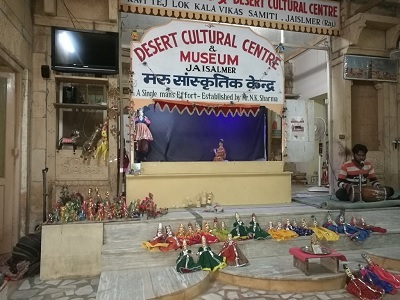 You will find Jaisalmer War Museum unique & interesting & the timings here is from 9 am to 7 pm and entry is free. The museum timing is from 10 am to 8 pm, but the best time to visit is 6:30 pm or 7:30 pm & the entry fee of Rs 50 per person. 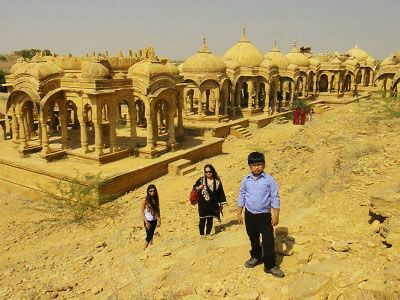 And all these 8 sites are some of the must-visit tourist attractions in Jaisalmer, which require at least 3 days/ 2 nights of your time. View all these details below, & feel free to contact our manager Mr Singh at +91 9414796344, or fill the contact form at the end of this page. Via land, rail & flight. 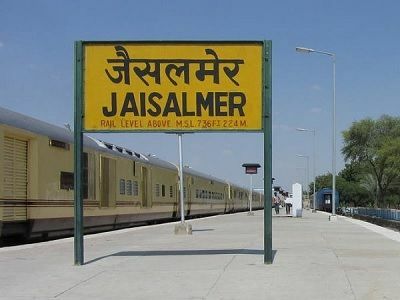 Ranikhet Express (15014) & Delhi Jaisalmer Express (14659) to reach Jaisalmer from Delhi, Jaipur & Jodhpur. Bandra Terminus Jaisalmer (22931) cover Mumbai, Surat & Ahmedabad. 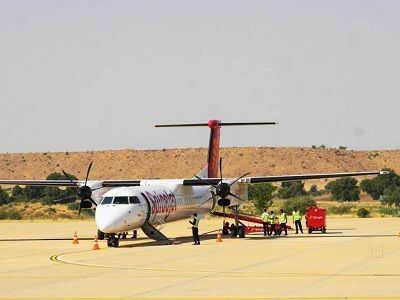 SpiceJetSG-2984: Departure from Delhi 2:20 pm & reach Jaisalmer by 4:25 pm. 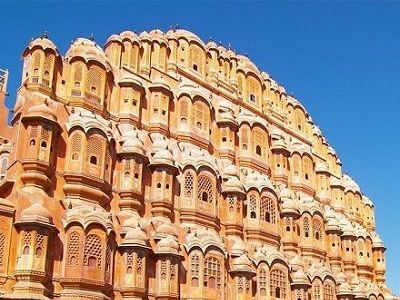 There are limited flights for Jaisalmer & you can get daily/ direct flights only from Jaipur & Delhi. 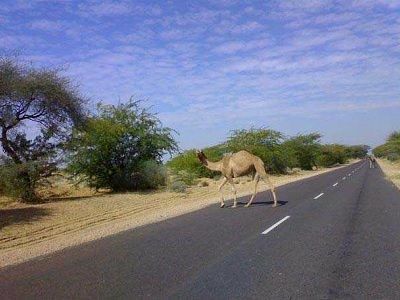 You can reach Jaisalmer by road if you are arriving from neighbouring states like Gujarat, Delhi etc. To reach Jaisalmer via road from Delhi, we suggest Delhi-Mandawa-Bikaner-Jaisalmer route. To reach Jaisalmer from Ahmedabad, we suggest Ahmedabad-Sanchore-Barmer-Jaisalmer route. 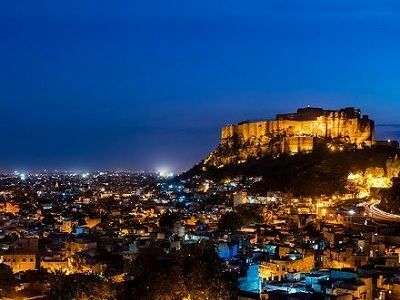 You can also visit Udaipur, Jodhpur by taking the Ahmedabad-Himmatnagar-Udaipur-Rajsamand-Jodhpur-Jaisalmer route. Departure on Day 3 by evening. 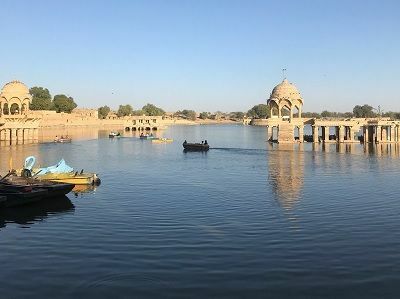 You can view a well-planned tour itinerary of this 3 days/ 2 nights Jaisalmer tour package by clicking the link below. 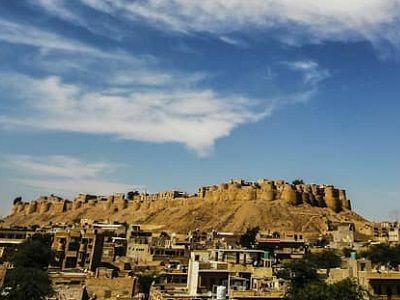 View more details on our Jodhpur Jaisalmer tour package, by clicking the button below. Departure on Day 7 from Jaisalmer. 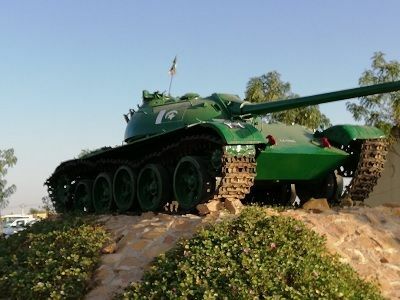 You can view details of this 7 days/ 6 nights tour itinerary by clicking the below button. Click the above links to view complete details, or call us at 9414796344 (Mr Singh) for more details. You can also fill the contact form at the end of this page. 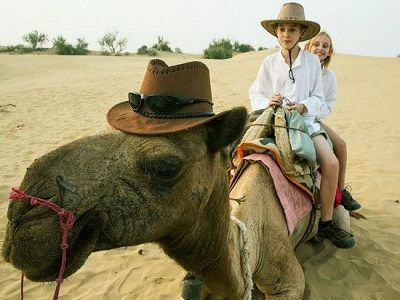 Camel safari is one of the oldest tours at Jaisalmer sand dune area of Sam and Khuri. 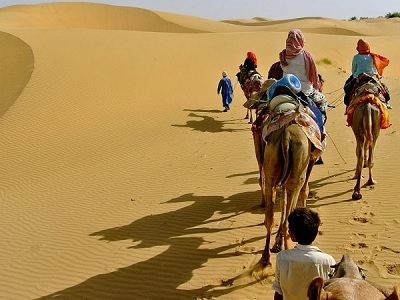 Here you hire a camel or camel kart to explore the deep sand dunes area of Sam & the sunset point here is stunning. Enjoy dune bashing at Sam sand dunes, in a 4×4 Mahindra Thar jeep available at all desert camps, at a good fare. 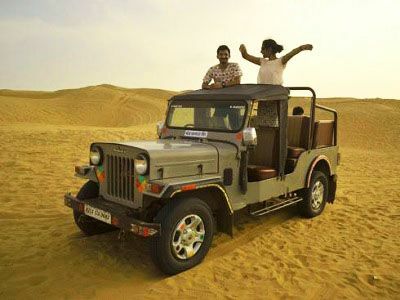 Jeep safari tour is for 30-45 minutes where you enjoy a drive at 30-40 meter tall sand dunes of Jaisalmer. 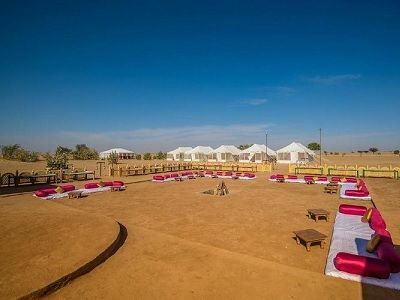 Plan a one night stay at a desert camp in Sam sand dunes or Khuri, and enjoy belly dance, fire show with buffet dinner. The accommodation in these desert camps is in Swiss Tents & a few Cottages.